Do you know how much energy you're consuming when you drink soft drinks? 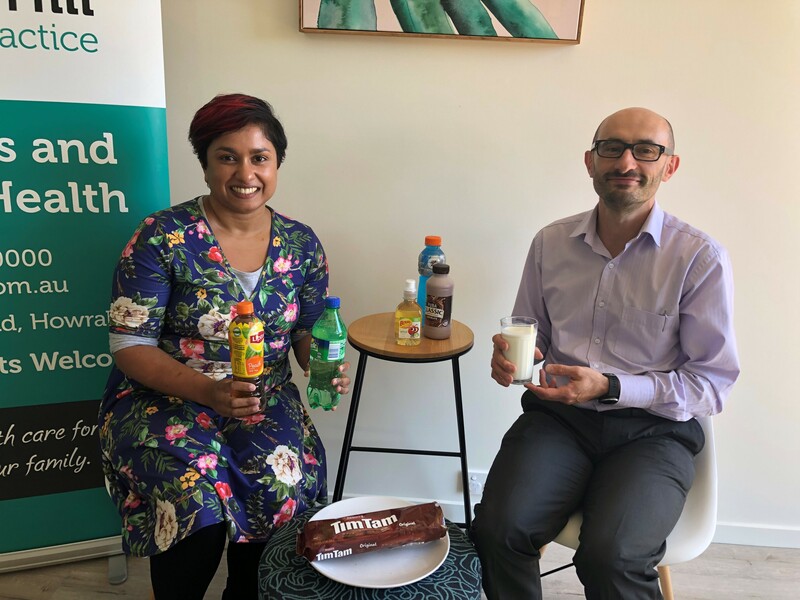 Dr Rekha and Dr Gianni have chosen a few common soft drinks enjoyed by adults and children, and how show you the equivalent kilojoules in with Tim Tams and Oreo biscuits! Interestingly, a 250ml popper of apple juice has far more energy than a 500ml iced tea! How many calories are in your softdrink? Video of How many calories are in your softdrink?